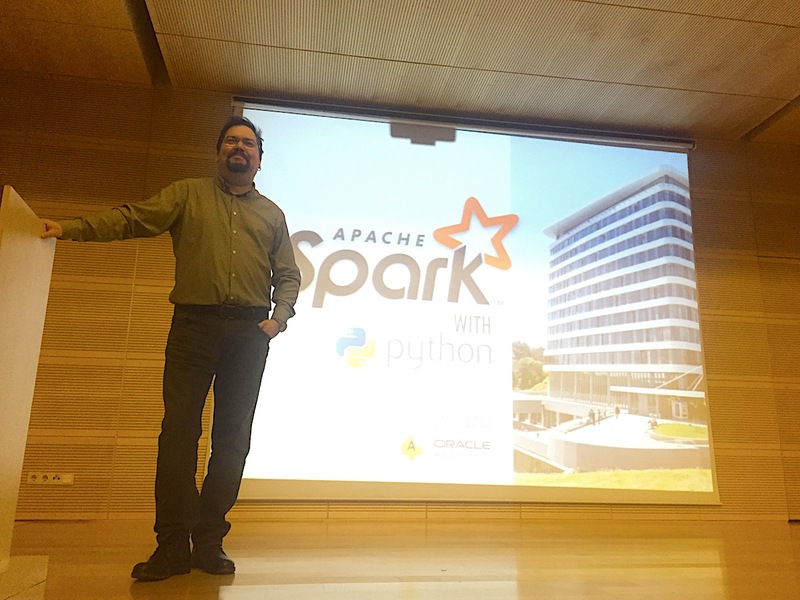 Today, I spoke about “Apache Spark with Python” at Big Talk #2 meet-up in Istanbul Teknokent ARI-3, another event organized by Komtas for big data community. We had almost full room. Mine was the last session of the day but the audience was still very focused and eager to listen the subjects, so for me, the event was great. By the way, I also enjoyed the sessions of other speakers: Zekeriya Beşioğlu spoke about Data Lakes and Kylo (an open source data lake management software). I’ll surely test that software as soon as possible. 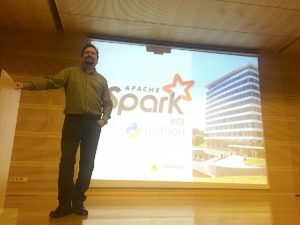 After Zekeriya, İsmail Parsa spoke about data science on retails systems. I’m very impressed from his knowledge, and happy to find a chance to join his session.